The search for excellence, related to the processes, products and services quality and to the market requirement, makes organizations to implement their Quality Management Systems (QMS). In this context, with ISO 9001 standard revision, published in 2015, a new requirement is established: risk-based thinking. The main focus of this article is to provide information, by doing a Systematic Literature Review (SLR), about the state of the art of Risk and ISO 9001 standard, identifying the risks’ approaches used by the organizations and finding gaps and inconsistencies in the literature. This SLR was conducted as follows: (a) establishing the research main question; (b) locating studies (defining the research sources, timing and criteria); (c) analysis and synthesis (supported by QSR NVivo); and (d) findings and conclusions. 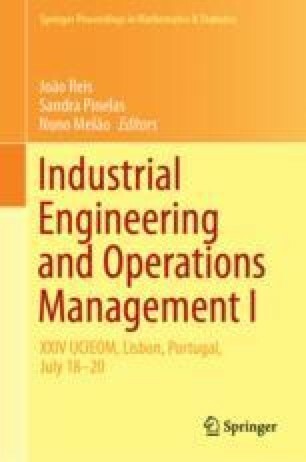 The main field of research was chosen to answer the question “what kind of methodologies and methods, companies that have a QMS based on ISO 9001 can use as a support to the risk-based thinking requirement?” The paper’s aim is also to contribute with companies who are looking forward to implement the Risk Management in their processes. The authors thank CNPQ, CAPES, FAPEMIG, FUPAI and Sisvoo Sistemas Eletrônicos Ltda., for funding support.